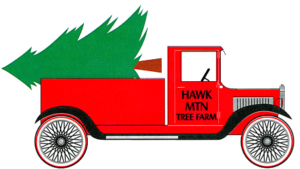 Located in the highest mountains east of the Mississippi, Hawk Mountain Tree Farm grows Fraser fir Christmas trees from 4-5’ tall up to 15-16’. Our trees are premium quality trees, with some availability on #2 class trees in certain sizes. We also offer beautiful, handmade wreaths and roping. Please call for availability and prices. 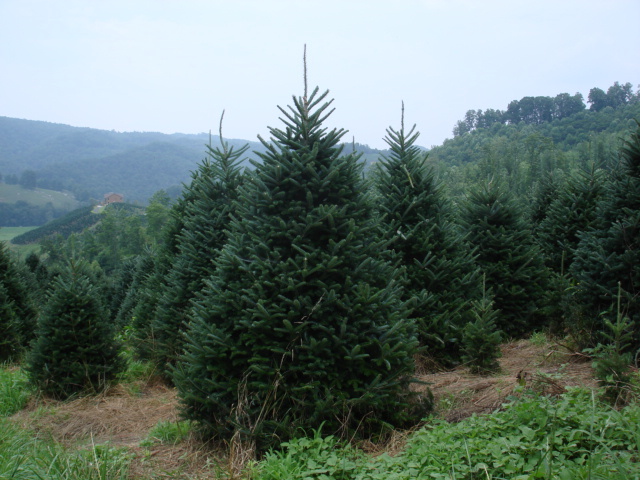 Christmas trees may be picked up or shipped. We ship in closed vans or on flatbed tractor trailers, depending on where you are located. We can give a freight quote for your delivery and all deliveries are FOB. Freight checks will be picked up by the driver upon delivery. If you would like more information about our Fraser firs or to come visit our farms, please call Carroll Garland at 828-265-7134. You may also request information at hawkmtn6@skybest.com.